As the European market remains unstable for investors to venture into it, interest has been turning more on the Middle East and North African region despite the existing tensions. 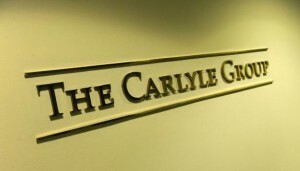 A private equity firm of the United States of America known as Carlyle Group is seeking to build up on its presence in the region. The group is looking forward to conclude agreements in the region and a leading executive in the group has already labeled two countries. Although other countries in the Middle East and North Africa were not ruled out, reasons why the two countries had higher probabilities than the others were not said. The co-head of the Carlyle Group Middle East and North Africa, Can Deldag, described the economic situation in Europe to be discouraging. He was quoted saying that “the situation in Europe is a scary one, that’s something to be cautious about. On the other hand, people are still bullish.” Deldag also confirmed Carlyle was aiming to close two deals in the region in the coming year, most likely in Turkey and Saudi Arabia. Oman and the UAE were still on its radar for investments, he added. It is important to note that a 7,5% stake is owned by the Abu Dhabi’s Mubadala Development Company in the US private-equity firm. The group has gone on an investment spree in recent times. It acquired a minority stake in Istanbul-based Penti, a manufacturer and retailer of women’s hosiery, lingerie and swimwear in Turkey, which also has 11 outlets in Saudi Arabia and last month, it concluded two multibillion dollar agreements including stakes in US-based photo agency, Getty Images, and China’s largest private medical check-up services company. Written by: Peter Mulvany on September 25, 2012. Posted by Peter Mulvany on Sep 25 2012. Filed under Finance, Headlines. You can follow any responses to this entry through the RSS 2.0. Both comments and pings are currently closed.